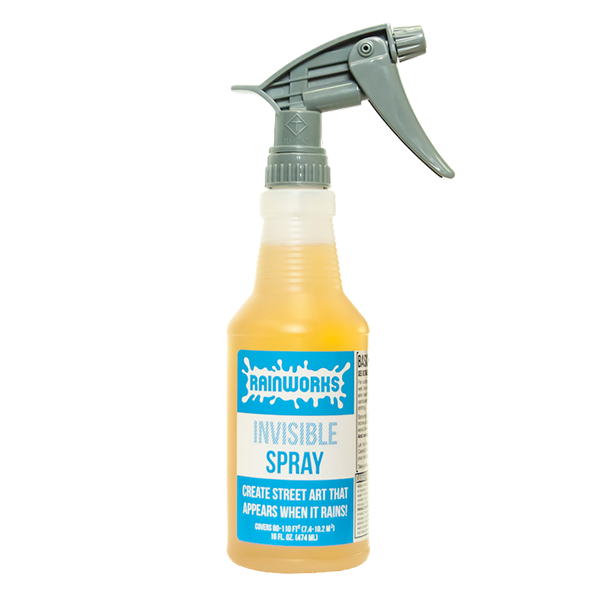 What makes Invisible Spray special? Our formula has been developed through rigorous testing, and specifically designed for the purpose of making rainworks. What's that mean? 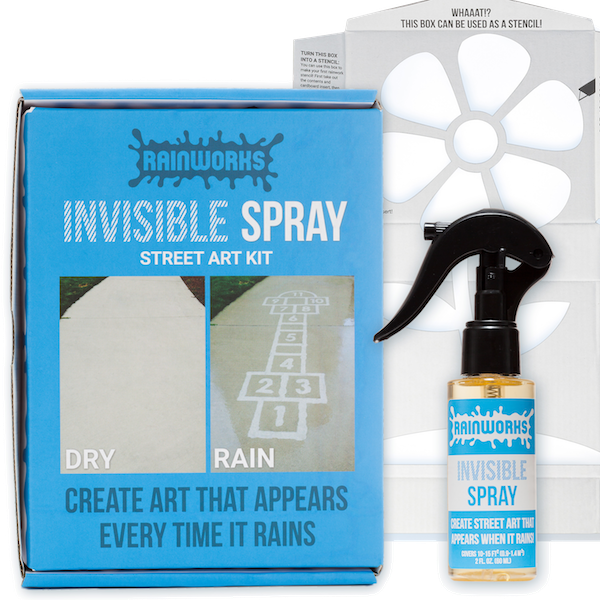 Once a rainwork is dry, it is non-toxic to the environment! Rainworks typically last 2-4 months (though we have seen some last as long as a year under ideal conditions). They are most vivid for the first few weeks, and they gradually grow more subtle over time. Rainworks do not damage the surface they are on, and they can be easily removed using any earth-friendly cleaning product plus a little bit of scrubbing. Invisible Spray is the only superhydrophobic coating that we have tested that is completely undetectable on a sunny day. You can't see, feel, or smell a difference.